Sorry for the crappy photo-taken on the fly. 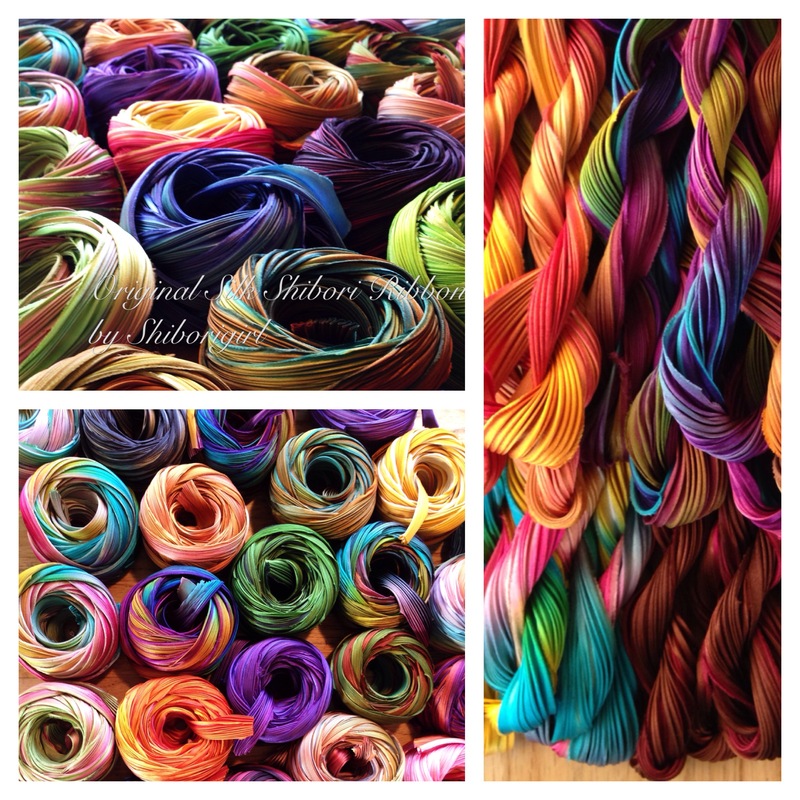 But more wondering about silk shibori ribbon bead embroidery. This is interesting on a few levels. Firstly, because it is from scraps that customers don’t want. I love that. When customers started complaining that the ends of their ribbon rolls were ugly, I started cutting them off and saving them for myself. I thought they were the most interesting part of the roll. Go figure. That’s been the story of my life. So here I have a huge box of “ends” that I don’t even put into scrap bags. Mine, all mine!! Now when I make a roll of ribbon I try to make the “ugliest” ends possible! It suits me. Secondly, Katrina and I have been busy finalizing our Silk Experience calendar for the Houston Quilt Festival 2016. It’s now finished and checked off the list. One of the new teachers has a lightweight gridded single sided fusible product that I ordered a sample of. I have other ideas for it but in the meantime, it occurred to me to try it for my shibori ribbon brooch/pendant sample for the class I submitted to Quilts Inc. for next year. It works great for quickly stabilizing a pleated design with the ribbon. Just arrange and pin the ribbon to the stabilizer and hit with some steam from the back side quickly – easily holding the ribbon in place prior to beading. This can also be done with sections of the ribbon that I see art quilters using. Just a simple thing really, but useful. In indigo shibori news, Buddy loves his linen pillows. Silly dog. This entry was posted in contemporary shibori, experimenting, houston quilt festival, indigo, quilting, shibori, shibori ribbon, silk experience, silk shibori ribbon, wondering and tagged indigo shibori, shibori ribbon bead embroidery, silk, silk shibori ribbon, sill gauze tubing on December 12, 2015 by shiborigirl. so, i broke down again and spent the $30 to eliminate adds on my blog. i had this option before but in recent budget cuts i had to reduce expenses. i credit you my readers and customers of shibori and online classes with providing me with the funds to restore this much loved option. 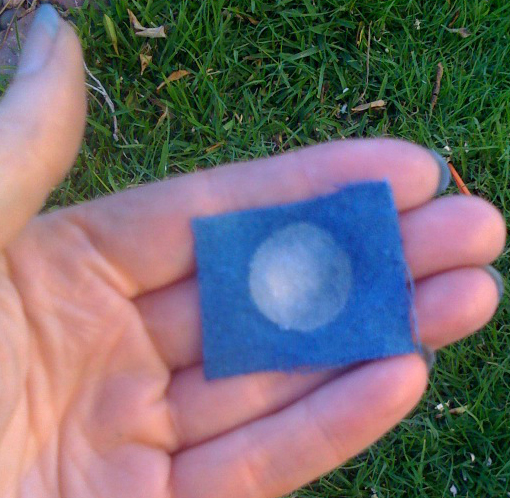 with all the writing about shibori and indigo that goes on here i end up feeling a little taken advantage of when i see ads appear on my blog by those whose policies and intentions do not fit my own. such is the way of the internet. but thank you wordpress for offering this service even if i now have to pay for it (in the early days, it was free). i feel freer and better now. onward. without ads. 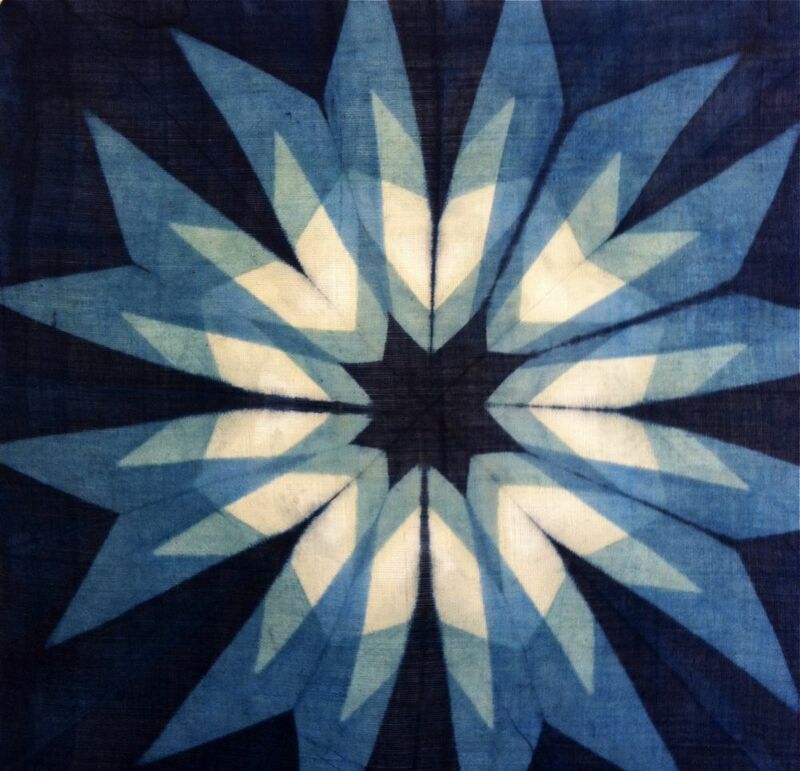 This entry was posted in arashi shibori, indigo, shibori, silk and tagged ads, budget cuts, indigo, indigo shibori, itajime, shibori on February 3, 2012 by shiborigirl.